Servometer® electrodeposited gold-plated (ASTM-N-488) bellows contacts create a reliable solution for electrical connections with less signal loss versus competing technologies. Servometer bellows contacts are a reliable alternative to spring-loaded type test pins in high frequency test applications, and are designed to provide lifetime spring and force repeatability, in diameters as small as 0.020 inch. Mike Likes: Seal It, Protect It! Multi-touch control found in smartphones and tablets is becoming a popular choice for new human machine interface (HMI) designs for industrial machines. 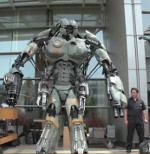 This technology enables pinch, zoom, rotate, flick/swipe, and other functions. Scott Kortier from InduSoft and Reid Beilke from Beckhoff Automation run through design considerations and provide valuable technology selection advice. Because many reactor vessels are set up in a potentially explosive area, special requirements apply. The Lumiglas division of Papenmeier, which specializes in sight-glass assemblies, partnered with FAULHABER and MICROMO to develop a motorized wiper. The dc motor-powered wiper device is encased in a protective pressure-resistant housing to withstand the extreme pressure and temperature conditions that frequently occur inside reactor vessels. Stanford University scientists have developed a "smart" lithium-ion battery that gives ample warning before it overheats and bursts into flames. 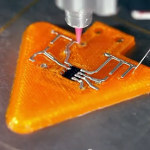 Based on an ultrathin copper sensor, the new technology is designed for conventional lithium-ion batteries now used in billions of cellphones, laptops, and other electronic devices. Mike Littrell is a rare combination of visionary and realist. While others tilt at windmills by promising an entire car made of 3D-printed parts, Littrell's company, CIDEAS, is pursuing a more practical, but still bold, agenda: Using 3D scanning and printing technologies to create and manufacture replacement parts for rare vehicles like the Lotus 340R, a legendary concept car of which only 340 were made in 1998. A Smalley Laminar Seal is a metallic labyrinth seal consisting of multiple rings in a groove. Sealing an assembly from contamination while withstanding high temperatures and corrosive environments, Laminar rings are produced from metal. The arrangement and orientation of the rings are dictated by the application/severity of the environment. 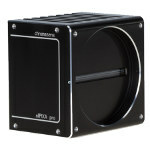 The Chromasens allPIXA pro is the world's fastest, most powerful color line scan CCD camera on the market today for high-speed machine vision applications. With line rates up to 87 kHz in standard models and up to 148 kHz in special OEM configurations, this unit allows for a maximum 300% increase in speed compared to conventional CCD line scan cameras when used in CameraLink Full mode. The compact unit can meet the throughput demands of high-speed print verification, food and fruit sorting, flat-panel inspection, and other applications, so more products can be inspected in less time. The Sinumerik blackline panels OP 015 black and OP 019 black are a new generation of operator panels for the Sinumerik 840D sl CNC system and offer new options for machine operation. The inductive sensor technology enables rapid interaction with the user interface even when the operator is wearing gloves. Similarly, it prevents incorrect entries, for example caused by the heel of the operator's hand. 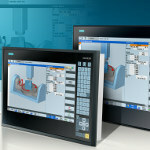 The operator panel can provide a basic machine display with three or four channels showing up to 13 axes. The durable LED background lighting provides 40 percent energy savings compared to conventional neon lamps. Dymax has introduced GA-201, a UV/Visible light-curable, tack-free, moisture- and chemical-resistant FIP/CIP gasket for sealing heat-sensitive substrates such as plastic enclosures. Used as an alternative to tapes, PSA die-cut gaskets, 2K epoxies, silicone rope, or RTV sealants, it helps reduce labor costs and part handling while increasing production throughput. GA-201 can be easily dispensed into intricate and complex configurations and can accommodate design changes without investment in additional tooling. 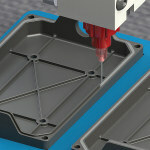 The material cures on demand, eliminating the need for racking and the waste associated with poorly fitting or improperly aligned die-cut gaskets. The new Servo-Tek tachometer catalog includes detailed specifications of all Servo-Tek high-performance DC tachometers for precision speed control applications. A Servo-Tek DC tachometer generator provides a convenient and economical means of converting rotational speed into an isolated analog voltage signal suitable for remote indication and control. 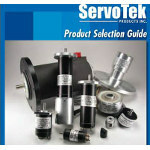 While the catalog contains information on their most popular models, Servo-Tek also manufactures countless special tach generators. The 8-page catalog also includes technical info, outline drawings, and assembly and maintenance information. 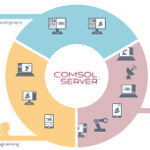 COMSOL Server is the engine for running COMSOL apps and the hub for controlling their deployment, distribution, and use. After creating an app with the Application Builder, the server provides engineers and researchers with a cost-effective solution for managing how the app is used, either within their organization or externally to a worldwide audience. With COMSOL Server, applications can be run in a COMSOL Client for Windows or in Google Chrome, Firefox, Internet Explorer, Safari, and other major Web browsers. COMSOL Server can be hosted in a corporate network or in the cloud. What were the most-read stories in Designfax for the second half of 2014? What products and tools generated the most buzz? Find out these answers and more in the second of our two-part Designfax special. Go to the Most Popular issue Part 2.